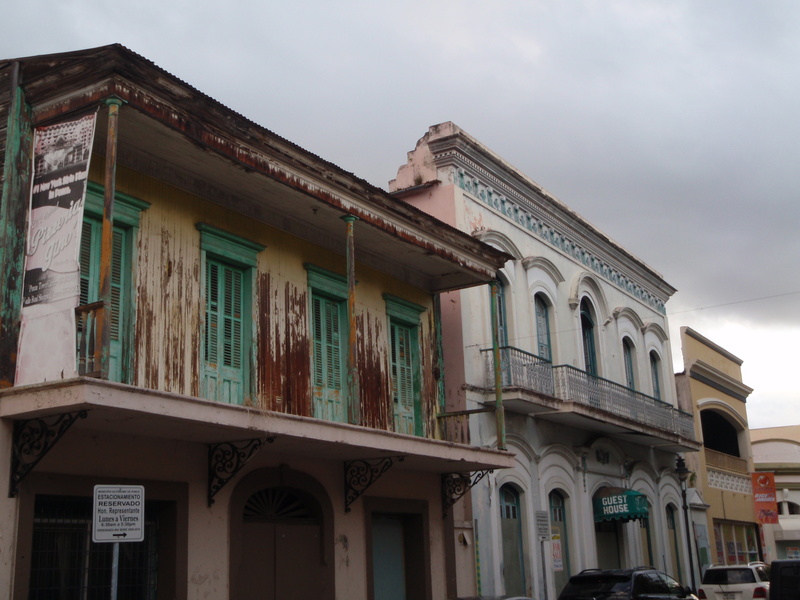 I had a 6:45am flight out of Gainesville, Florida this morning to San Juan, Puerto Rico – State/Territory #31. Friday had been a busy day – finishing the drive from South Carolina to Florida and dropping Tula off at the kennel, which always makes me feel so bad. Toni was going to watch her again, but she ended up going to a wedding out of state over the weekend, and her dog Ella was also in the kennel, so at least the dogs will be near each other. And I had other errands to take care of, and got my hair trimmed, and repacked for the next couple weeks. I stayed at Toni’s apartment Friday night even though she wasn’t there, and visited with her roommate a bit, and stayed up really late getting organized for the next 2 weeks. Since I was leaving the van at Toni’s apartment, I arranged for a taxi at 5:30am which was an early morning wake-up call after such a late night. And then, a little after noon, I was in Puerto Rico! I noticed immediately, even in the airport, a lack of signs in English…kind of a lack of signs in general. Baggage Claim wasn’t marked, and there were no car rental signs. All I heard around me was Spanish, and I got an uneasy feeling I was in for some challenging times. I don’t speak Spanish, and that’s my shortcoming, and I know when I visit a “foreign” place, I shouldn’t assume that I will hear and see English – after all, I am the visitor. 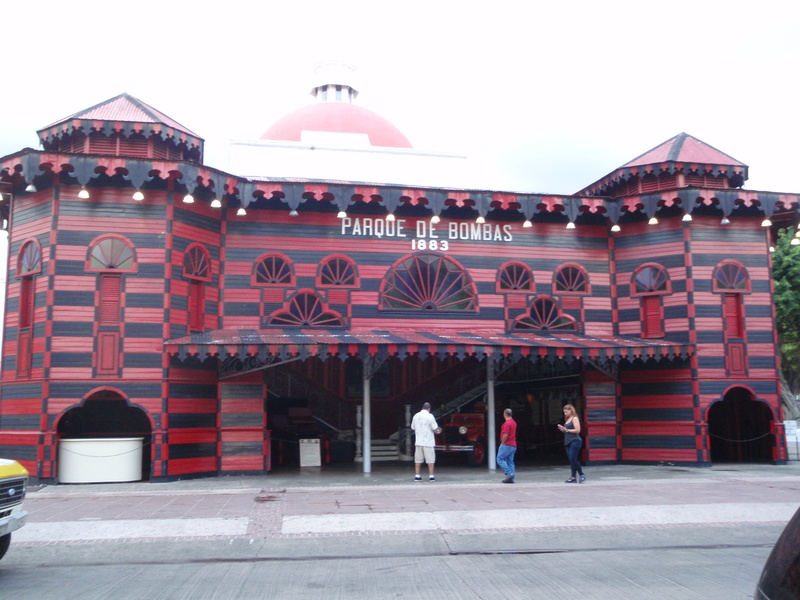 But, I figured since the Pacific territories were bi-lingual and they’re thousands of miles away with few American tourists, Puerto Rico would also be largely bi-lingual since it’s relatively close to the mainland and has a lot more American visitors. And it’s a US territory! But I assumed wrong, and I was fortunate the car rental guy spoke English and gave me a few directions, because that was about the last English I heard and saw for the next couple days. I was kind of overwhelmed even leaving the car rental lot. It was a very hot Saturday afternoon, and I was hungry, and traffic was heavy and people were all over the place, and they seem to dart across streets whenever they want, and cars were blasting loud music. But the area I was in actually looked like a good place to walk for half an hour to just catch my breath, and I somehow found a parking space, and got out and walked nearly 3 miles, and found a Subway to get a sandwich, and then I felt more ready to tackle the traffic. 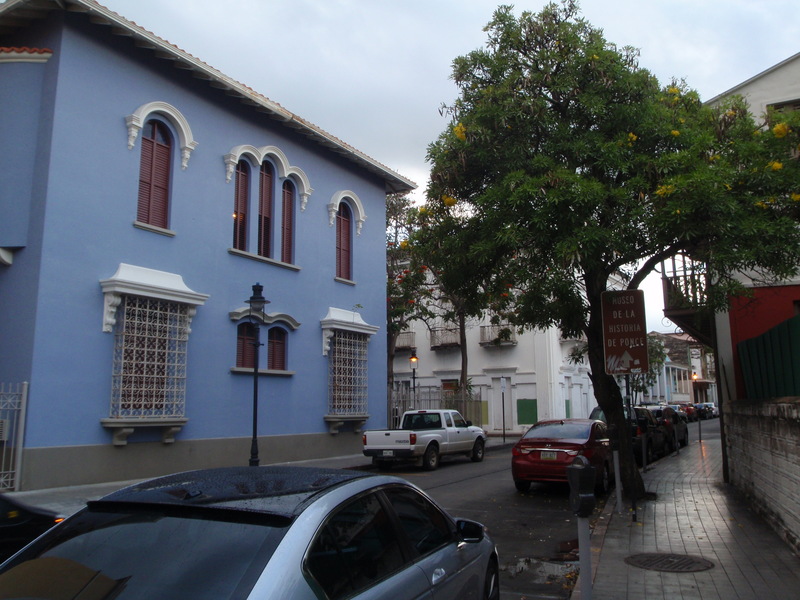 I had landed in San Juan, but thought I wanted to drive around a good part of the island like I did in the other territories, so I had made reservations at a motel in Ponce, which is Puerto Rico’s 2nd biggest city and it’s on the southern coast. San Juan is a sprawling city, with lots of smaller ones kind of connected to it. I don’t know how I managed to get out of town without going in circles. Luckily numbers are the same in English and Spanish. I felt a little better once I was driving through the mountains in the middle of the island. It was more mountainous than I expected, and lush and green. I began to enjoy the drive once I was out of the congestion. It took a couple hours to get across the island, and most of it was on a toll road, and luckily I had told the car rental guy I was headed for Ponce because it’s a cashless toll road in this part of the island, and I had to pay $10 to activate the easy pass. I’m not sure what I would have done if I hadn’t mentioned that! 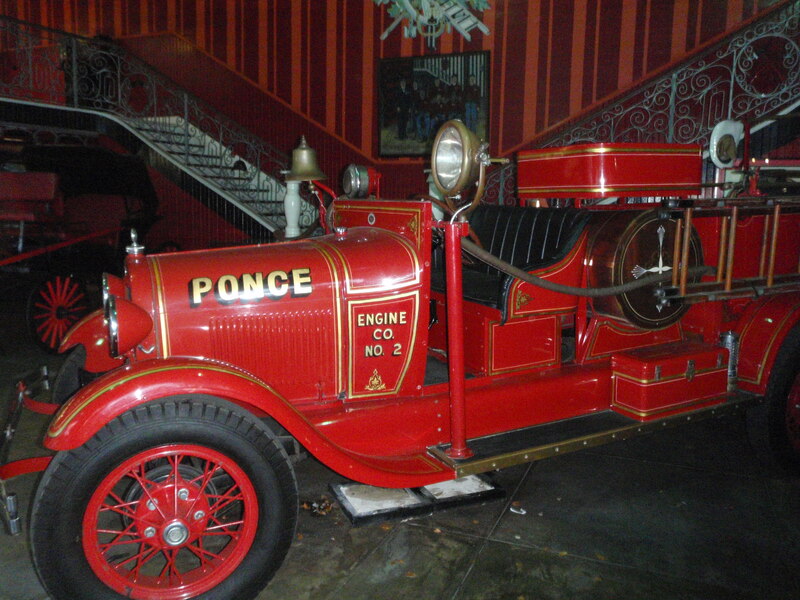 I made it to Ponce, and figured out where my motel was. The nice thing about using my iPad as a GPS is that it shows me exactly where I am on the map, and then I can figure out where I want to go. The iPad has not “talked” to me since Washington DC and I don’t know why it started there, and don’t know why it stopped afterward! But I like being able to see where I’m at. I saw a Kmart, and stopped to get some water and a few other things. I decided to check in to the motel before doing more walking, because I didn’t want to be looking for it after dark – it was outside of town a ways. In fact, the motel – a Quality Inn – was on the infield of an old car racetrack, and to get to it, I had to drive through a tunnel under the racetrack. I think that’s the strangest location of a motel I’ve been at so far. I had a little trouble at check-in because of the language barrier – she couldn’t find my paperwork at first, and I thought something had gotten mixed up since it was a free stay using points. But we figured it out – she thought my name was pronounced Seeburt, and couldn’t find paperwork for the name I was saying! After check-in I drove back to Ponce to do some walking. It was early evening by now, and I knew I wouldn’t get the rest of my 8 miles in, but I wanted to do what I could before dark. 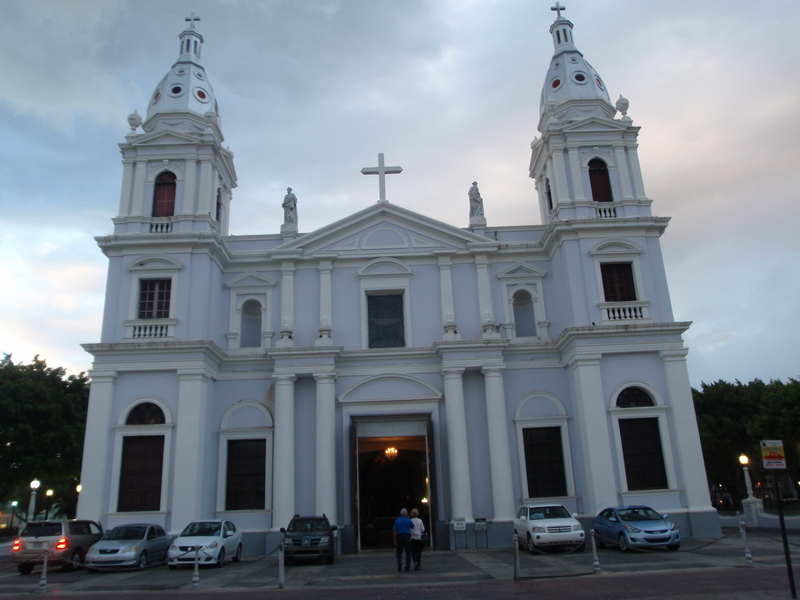 Like many Puerto Rican towns, a cathedral often dominates the center of town, and this was no exception. It was a huge cathedral, and people were arriving for Saturday night services. I walked up and down all the streets in town, and out into one of the neighborhoods as far as I felt comfortable. There was also an old theatre where people were waiting on steps for the doors to open. Twice during my walk, I heard a lot of police sirens, but when the cars passed in a procession, they looked like ordinary cars with ordinary adults and kids in them! I don’t know why they all had sirens – and none of them had flashing lights. I have no idea what that was all about. And there had also just been a wedding in town, and I watched the bride and groom get in an old decorated DeSoto (I think!) and then there was another procession of cars all honking horns. Between sirens and horns, it was a noisy walk. I got another 3 1/2 miles in, and dark came a good hour earlier here – I’m still in the eastern time zone, but far enough east that the sun sets a lot earlier. So it was time to head back. I knew I needed something for dinner, and I didn’t want fast food, and I wasn’t ready to venture into a little restaurant, but I saw a sign for Chinese food, and that all of a sudden sounded good, so I went in to get a carry-out order, only to be confronted by a menu board in a combination of Chinese and Spanish. The only word I recognized was pollo – chicken. I asked the young lady if she spoke English, and she didn’t, so she called someone else over. I asked about sweet and sour pork, and there was some discussion I didn’t understand, and then they said something about sweet chicken. That was close enough and I agreed to get the combination, even though I didn’t know what it came with. I didn’t have to wait very long, and prices were very reasonable, so I took my dinner back to the motel, and opened it up to see the chicken in an orange sauce (no veggies), fried rice, and…french fries of all things! It seems like such a strange thing to get as part of a Chinese dinner. I ate dinner and turned the TV on, but there were only a couple channels that worked, and it was in Spanish anyway, and then I tried doing some research for my donations, and kept pulling up websites in Spanish. I began to worry about how I was going to do my donations because of the language barrier. And last week, I had had a lot of contact from home – my neighbor had sent me some pictures from home, and I had talked with a couple of my studio instructor friends, plus there had been a big performance today that I would like to have seen since I still know everyone involved, and I’d talked to my sister-in-law for a couple hours, and I think all the contact from back home, plus being in a really foreign place had me really worrying about this week in Puerto Rico, and feeling very isolated for the first time on my journey. 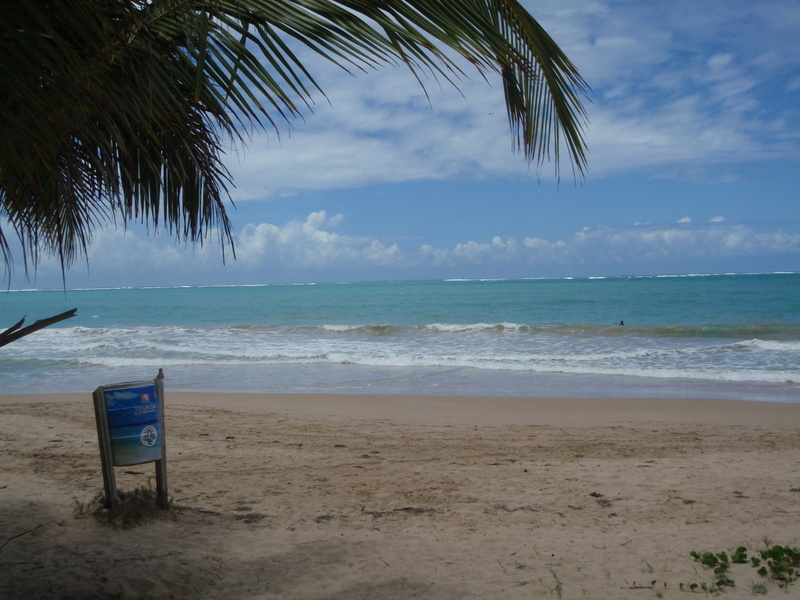 But, I knew I only had to get through 4 days, and then one of my daughters and her boyfriend would be joining me for a week – they made reservations months ago, and then my sister will be joining me next week, so the timing for family visits is perfect, and that’s what I held onto this first strange night in Puerto Rico.